I’m all about a quick, but nice, meal on busy weeknights. Who am I kidding – I like a quick easy meal any day of the week! 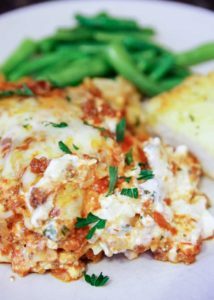 Even better is a recipe that I love that’s made in 30 minutes (or less) like this baked chicken parmesan recipe. 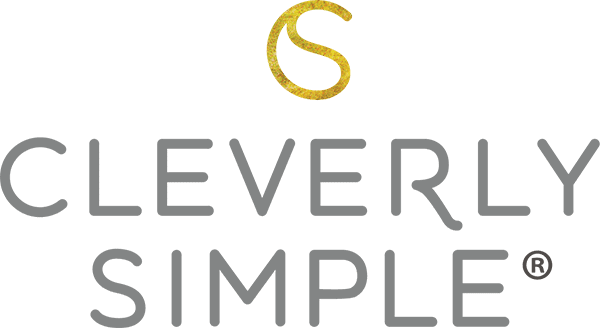 My boys love the crispiness of the chicken, I love how fast the recipe can be made and my husband loves that it comes with pasta. All together, this is a nice meal that we enjoy quite often and so I’m sharing it with you today! 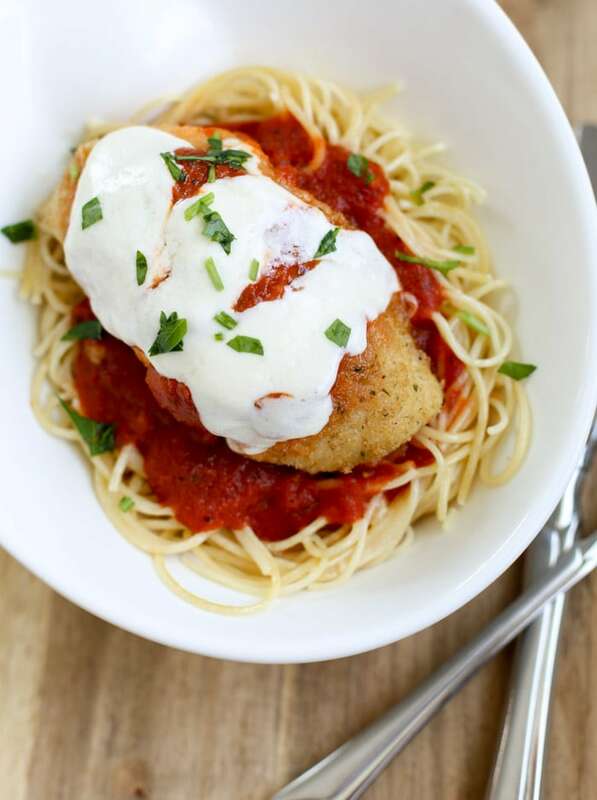 The key to any great chicken parmesan is not only the crispy crust, but the sauce. I like a rich and bold sauce like the Bertolli Organic tomato based sauces. I like that it’s organic and my kids love the taste. Bertolli only uses natural ingredients. 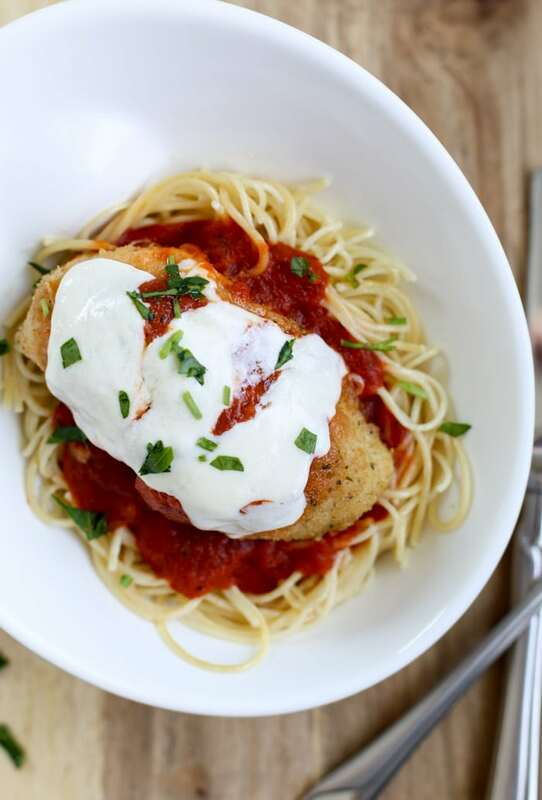 If you wanted to take this recipe up a notch, you could add a touch of creaminess with the Bertolli® Organic Creamy Alfredo Sauce and mix it with the Bertolli® Organic Fire Roasted Garlic Marinara Sauce. O. M. G. So good!! 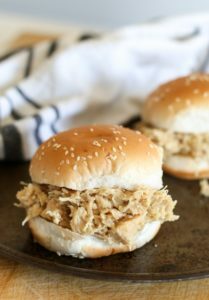 Like I promised this recipe can be made in 30 minutes or less. The key is multi-tasking but it’s a breeze to do so. First, get the water boiling. When it comes to a boil, add angel hair pasta and cook according to the directions. While you’re waiting for the water to boil – remember, don’t watch it. A watched pot never boils, right? Anyone else have their mom tell them that growing up? In a bowl melt three tablespoons of butter. In a separate bowl combine 1/2 cup of Italian bread crumbs and 3 Tablespoons of shredded Parmesan cheese. Dip the chicken breast in the butter to fully coat and then completely submerge the buttered chicken into the bread crumbs mixture to fully cover. Add to an oven ready pan that’s been sprayed with cooking spray. Bake at 450° F for 20 – 25 minutes or until fully cooked. Let’s take a little pause here to talk about chicken breasts. Some of the chicken breasts available in the grocery store are so big – I wonder how the chicken even walked. Am I the only one? For this reason, I highly recommend buying reasonably sized chicken breasts. (I feel like this is getting weird.) I bought a 1.26 lb package that contained three separate breasts making them less than 7 ounces each. If you buy the larger variety one of two things needs to happen. One, you’ll need to bake them longer taking away the beautiful 30 minutes or less from this recipe. Or, two, you’ll have to cut them in half before the butter and bread crumbs mixture is applied. They will cook faster the more normal size they are supposed to be…naturally. I’m glad we had this chat. It felt a little awkward. But it needed to happen. Anyways, once baked you’re going to add the goodness that is the Bertolli sauce. 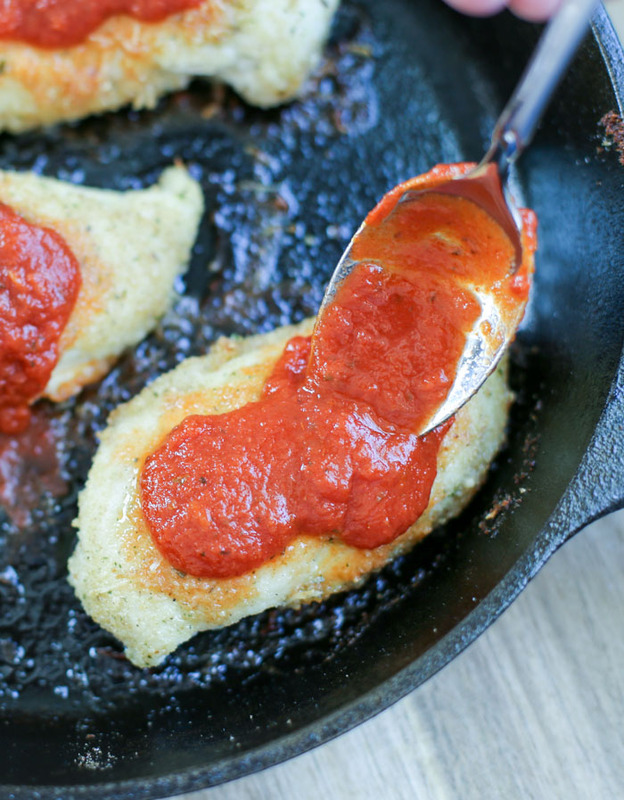 Spoon that rich beautiful sauce onto your Parmesan Chicken. 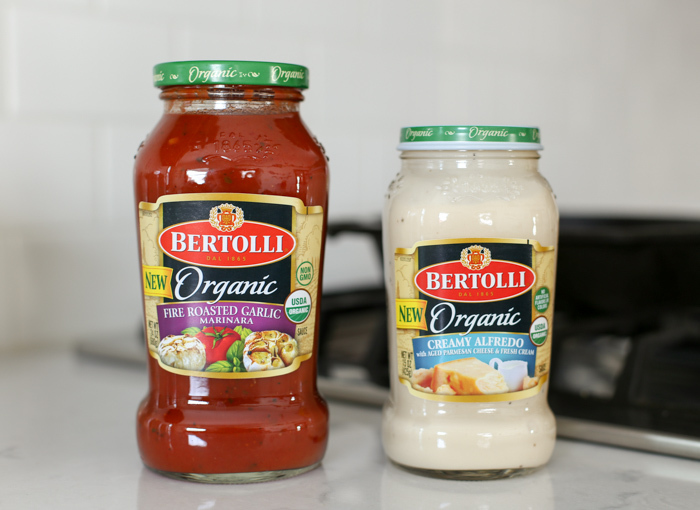 The Bertolli Organic sauce is USDA Organic made with ingredients, like plump tomatoes, extra virgin olive oil and Roman Cheese. Add fresh mozzarella and pop it back into the oven for another 5 minutes. Once the cheese is melted, top the cooked pasta with some more sauce goodness and then your chicken. Your delicious meal is ready. It looks awesome. You feel awesome. And from start to finish you’re done in 30 minutes. Bring a taste of Tuscany to your table with Bertolli pasta sauce. And make sure to check out the NEW Bertolli® Organic Creamy Alfredo Sauce. It’s one of the first nationally-branded organic Alfredo sauces in the category. For more recipe inspiration visit these Rosa Sauce inspired recipes. Enjoy! 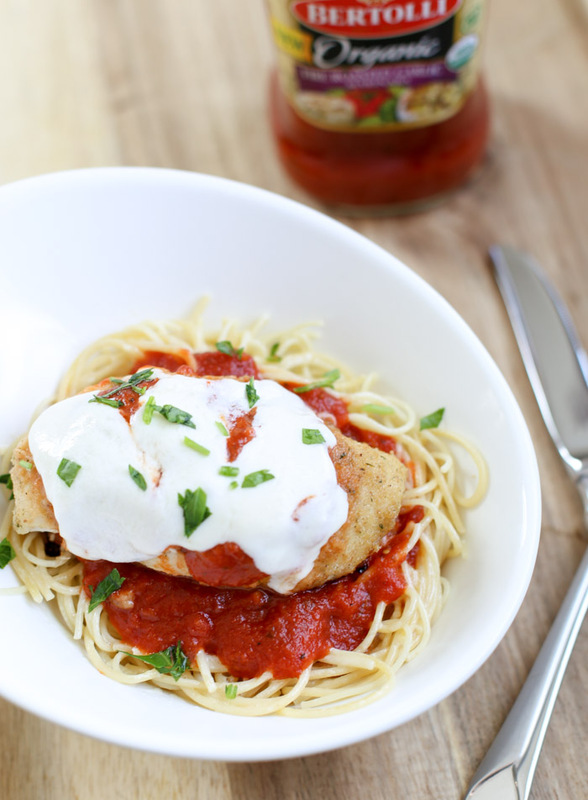 Easy baked chicken parmesan with pasta. Quick and on the table in less than 30 minutes. Preheat your oven to 450° F. Spray your oven ready pan with cooking spray. Cook angel hair pasta according to package directions. Drain and set aside. In a pan heat up the marinara sauce according to package directions. 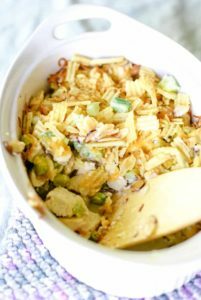 Combine the breadcrumbs and parmesan cheese in a bowl. Set aside. Melt the butter in a separate bowl. Dip the chicken into the melted butter to fully coat. Then dip into the breadcrumb mixture. Place chicken in oven ready pan. Spray the fully coated chicken with cooking spray. Bake for 20 – 25 minutes or until the chicken is fully cooked. Remove from the oven and spoon 3 tablespoons of Bertolli Organic fire roasted garlic marinara over each piece of chicken. 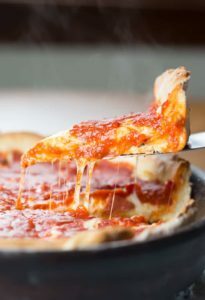 Top with a slice of fresh mozzarella. Bake five additional minutes or until the cheese is melted. Add angel hair pasta to a bowl and top with additional marinara sauce. 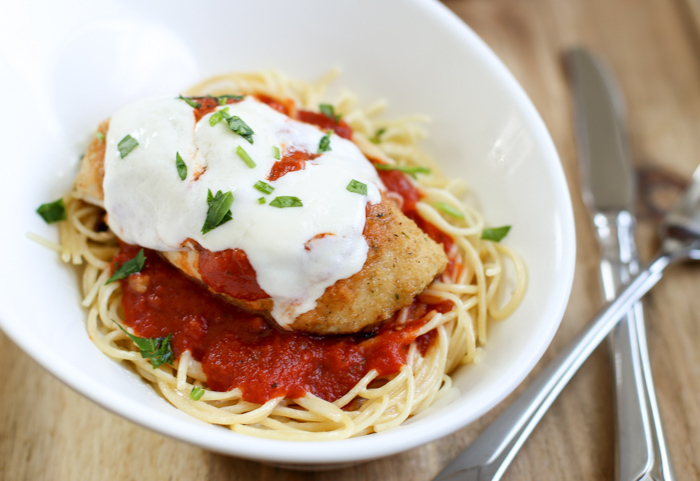 Enjoy with the baked chicken parmesan. Serve immediately. Your chicken breasts should be approximately 7 to 8 ounces each. If they are larger, cut in half before dipping in butter and breadcrumbs. What a classic dish! Oh I love the ingredients in this recipe! I can’t wait to give this one a try! Looks amazing! 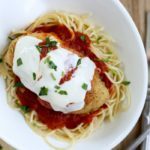 This is one of my favorite pasta sauces, and I haven’t had chicken parm in FOREVER – adding this to my list!